The Rock Island Emergency Communications Center, also known as RICOMM, employs twelve full-time telecommunicators and one communications supervisor. 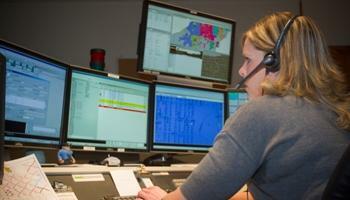 The Communications Center operates 24 hours a day, seven days a week, and is responsible for answering all 911 calls for the citizens of Rock Island as well as numerous administrative telephone lines. The Communications Center inputs information into our Computer Aided Dispatch (CAD) system and into the Records Management Systems (RMS) which are both part of an integrated, multi-jurisdictional consortium consisting of all Rock Island County Public Safety Answering Points (PSAP). They also, monitor the radio traffic of the Rock Island Public Works Department and act as the primary dispatch center for Division 43 of the fire service MABAS (Mutual Aid Box Alarm System). The Communications Center is equipped with the latest technology in order to maintain Rock Island’s commitment to quality service.